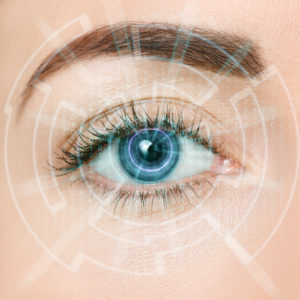 Eye Movement Desensitization and Reprocessing Therapy or EMDR Therapy is a revolutionary and non-traditional type of psychotherapy especially useful in treating post-traumatic stress disorder (PTSD.) Its purpose is to replace traumatic memories and beliefs with pleasant images and healthy reactions to stressful past events. During an EMDR session, a psychologist will ask the patient to recall a traumatic event while projecting different external stimuli. These stimuli can come in the form of bilateral images that require repeated eye movements, but doctors also use hand-tapping and sound to help patients shift their emotions about a certain event. What Is the History of EMDR Therapy? The history of EMDR began in the 1980s when psychologist Francine Shapiro noticed that the intensity of disturbing thoughts could be lowered using eye movement. Although this new type of psychotherapy was developed to address post-traumatic stress disorder, experts soon saw its applicability in helping with other conditions, as well. More often than not, there is a direct link between substance abuse and PTSD. People either have post-traumatic stress disorder as a result of substance abuse or this condition pushes them to take drugs to control their extreme anxiety. For example, a veteran suffering from post-traumatic stress disorder due to the extreme events he was submitted to might resort to prescription meds to escape the reality of his mental illness. As such, EMDR therapy can be an effective tool in helping them deal with their co-occurring condition. EMDR targets the causes of addiction, but it does not necessarily focus on the addiction itself. One can argue that when treating the cause – why people turn to alcohol or drugs –, you are also treating the addiction. EMDR can give patients the tools they need to stay clean and away from harmful substances. Due to its effectiveness and long-term benefits, the treatment community is becoming more and more accustomed to EMDR as an addiction therapy. Moreover, the fact that EMDR was used firstly in treating PTSD offers this therapy more credibility than newer types of intervention. It has already proven its efficiency, so people are more comfortable with experimenting with its applicability. In addition to PTSD, EMDR therapy has also proven to be successful in treating depression and other similar conditions. Depression is often the root of addiction so by addressing one you are, in fact, treating both conditions. One of the problems with regular therapies is that they treat the effects of addiction but neglect the causes. That can lead to relapses because the patients have not obtained healthy coping mechanisms to deal with their issues. EMDR manages to reprogram the individual to fight these temptations as soon as they show up in their mind. For more than a decade, EMDR therapy (Eye Movement Desensitization & Reprocessing) has been used with men struggling with PTSD or trauma. Often, men self-soothe by abusing drugs or alcohol to ease the pain they relive, again and again. The therapists at Windward Way often use this technique together with other traditional addiction treatment methods such as individualized psychotherapy to alleviate the symptoms a chronic state of panic can generate in veterans or survivors of trauma. Since EMDR has shown itself to be as effective as it is, our professional counseling staff frequently employs this within a holistic substance abuse treatment program. It’s only one of many innovative methods for addiction treatment we use within our drug and alcohol programs of rehabilitation. In the simplest of terms, the technique works by allowing the EMDR therapist to name the specific problem and symptoms—such as nightmares, anger, or irritability. With this information, a treatment plan can be developed that defines how best to use EMDR. This therapy can help a person replace memories of the trauma with positive mental images. Trauma does not have to win the day. You don’t have to keep using drugs or alcohol to dull the ongoing agony you’re experiencing. The addiction program at Windward Way can help. Call us now and receive the information and empathy you’re looking for. We know how hard it can be. You deserve to regain your life the way you used to be before your addiction came along. 855-491-7694.